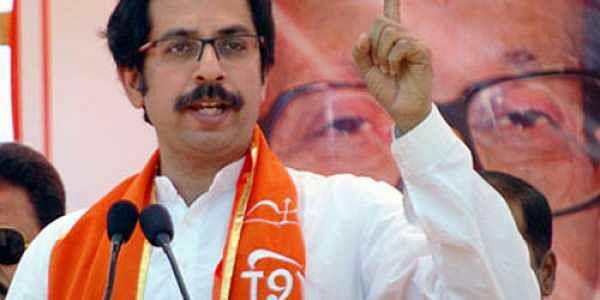 Shiv Sena president Uddhav Thackeray today targeted the BJP-led government in Maharashtra over its blitzkrieg of advertisements marking the completion of three years in office. MUMBAI: Shiv Sena president Uddhav Thackeray today targeted the BJP-led government in Maharashtra over its blitzkrieg of advertisements marking the completion of three years in office. The ad campaign, which showcases citizens saying ‘Mi Labharthi’ (I am a beneficiary) of government schemes, has come under the scanner as claims have been raised over their authenticity. "After three years in office, an atmosphere of "Mi Labharthi" is being created. I feel the government should be such that it need not have to resort to such publicity. In fact, people should be saying such things about the government and not vice versa," Thackeray said. The Sena leader was addressing a public meeting in Kolhapur as his tour of western Maharashtra began today. Thackeray also took potshots over the meeting between chief minister Devendra Fadnavis and NCP chief Sharad Pawar in Mumbai last night. "Fadnavis and Pawar had a secret meeting. There were no talks about farm loan waiver in the meeting. The discussion was about the Mumbai Cricket Association," he said. "Why indulge in all this farce?" Thackeray said. "You (Pawar) used to criticise that we don't understand anything about agriculture," he added. Referring to problems faced by the Marathi-speaking populace in Karnataka, the Sena leader said, "If my party comes to power in Maharashtra, we will bring the Marathi-speaking areas in Karnataka under our state." Thackeray is scheduled to visit Kolhapur, Sangli and Satara districts between November 24 and 26. The Sena is trying to strengthen its base in western Maharashtra where it has 13 seats. Traditionally, western Maharashtra is considered a stronghold of both Congress and NCP. The BJP made inroads in the region in 2014 elections and currently has 24 of the 70 Assembly seats in western Maharashtra, while NCP has 19 seats there.